Hi everybody! Hope your having a great Saturday! 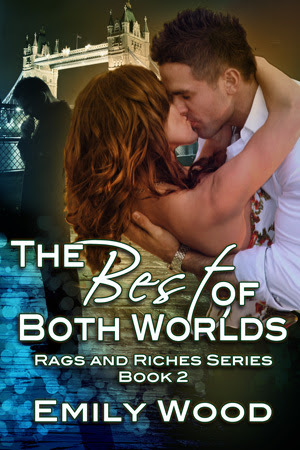 My Sinful Saturday snippet is from The Best of Both Worlds, the second novella in my series Rags and Riches. You really shouldn’t do this, she warned herself. But she wanted him so badly! And she could tell he wanted her. The alcohol had made her a little braver. Why not? Her eyes locking with his, she leaned forward, putting her hands on his shoulders to steady herself as she tried to kiss him. She closed her eyes, anticipating the feel of his lips, but instead she felt his hands on her arms, pushing her away gently, but firmly. "I don’t think so," he said carefully. All the humor in his eyes had gone.